These episodes are YOUR chance to ask whatever tactical questions you have to get specific answers. 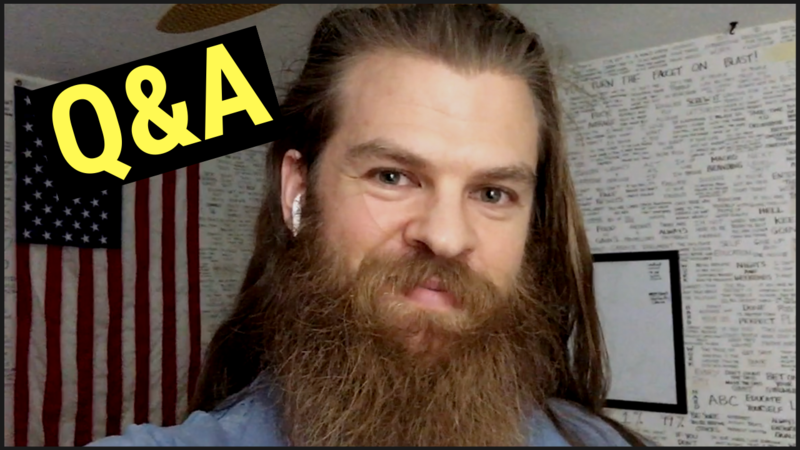 It's an extremely powerful type of episode for both those that are ASKING the questions, but also for all of you. ...You never know what will be asked during one of these sessions. And that in itself is the lesson I want you to take away from this. You can use every experience to learn something. It is simply astounding what you can learn when you least expect it. That's how I have accumulated most of my knowledge over the past couple of years. You start to realize how much knowledge is out there and is RIGHT IN FRONT OF YOUR FACE! Never think you know everything, and never assume that what you think you need to hear is what you actually need to hear at any given time. It's amazing what has slapped me upside the head when I least expected it. We discuss everything from training frequency to nutrition and social choices. Great questions and I hope you get some amazing value from this episode!